The best friend of South African football captain Senzo Meyiwa has told of the devastating moment he saw him gunned down at a family gathering when intruders stormed the house. 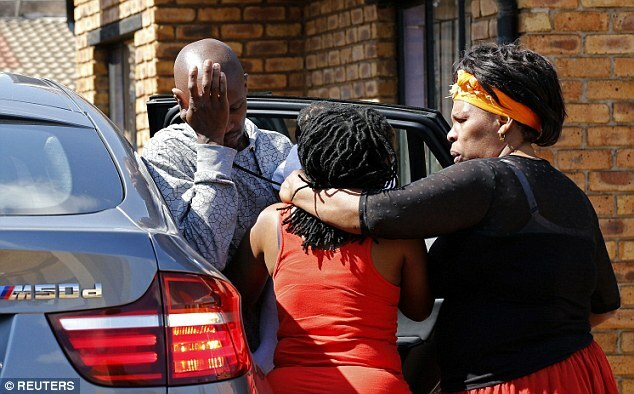 Tumelo Madlala was visiting the goalkeeper and his girlfriend, Kelly Khumalo, in Spruitview, Ekurhuleni, when three men broke in and demanded her mobile phone after a family Sunday lunch. 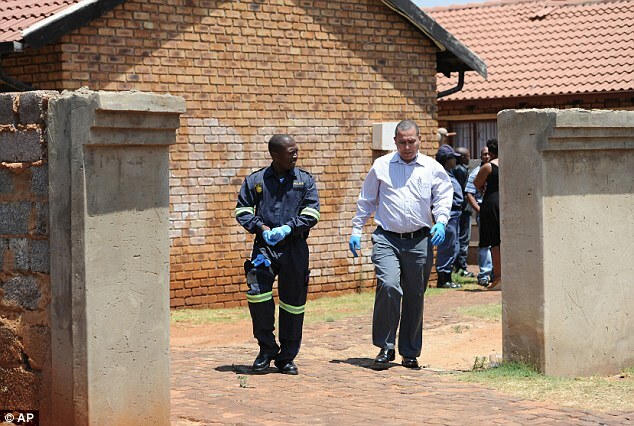 The 27-year-old footballer intervened when one of the intruders became violent with his girlfriend but was shot at point blank range as Miss Khumalo’s two children screamed in horror. 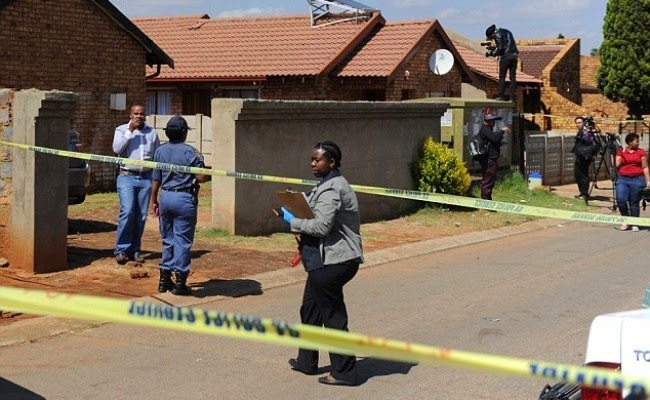 Meyiwa, who recently fathered a child with his pop-star girlfriend, is understood to have been on his way to meet his wife at a party when he was killed in cold blood. 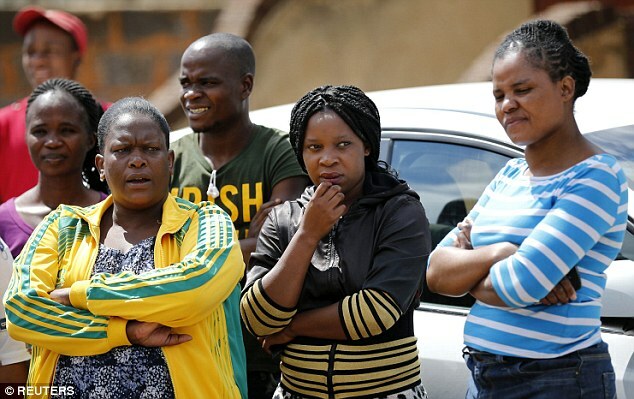 MailOnline understands that the athlete had rekindled his relationship with Miss Khumalo after admitting lying to the pop-star and his wife in order to see both of them – and continued to see both women at the same time. 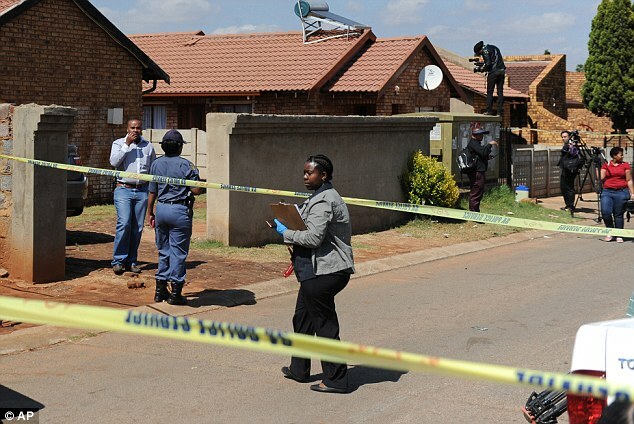 Mr Madlala was among nine guests at Ms Khumalo’s home when the athlete was killed, he said. He had travelled to the area on Meyiwa’s insistence, having grown up with the star in the Umlazi township in KwaZulu Natal, KZN. ‘He sent me money and invited me to visit. ‘I took a taxi from Durban and we were talking on the phone all the time.  ‘We went to Kelly’s home in Spruitview and we had Sunday lunch. It is understood the footballer, who had a baby with Ms Khumalo, planned to meet his wife at a party on the night of his death. A source waiting at the party in Sunninghill, Rivonia, told MailOnline: ‘He called a few times to assure us he was coming. ‘Senzo was in contact with her (Mandisa Meyiwa). She told us he was on his way and we expected him, but then we heard Senzo wasn’t coming any more because he had been shot. ‘She is devastated. She was waiting for her husband to arrive at the party. ‘She never expected to get a call that he had been killed,’ a friend of the woman added. Mandisa Meyiwa was too distraught to speak today, though neighbours of Miss Khumalo said they had seen her driving around in the deceased footballer’s car, an apparent sign of disrespect in the community. ‘This is unheard of. In our culture we don’t drive around in a dead person’s car before the burial and the cleansing,’ said a resident. Earlier today Ms Khumalo was the target of internet trolls who branded her an ‘adulterous witch’ over her relationship with the married footballer. Hours before her partner’s death the pop-star shared a photograph of them with her sister on Instagram. Within minutes of news of his death, critics left vicious comments telling her to ‘go swim with the sharks’. NganekaMama reportedly wrote in a post that has since been deleted: ‘@Kelly_Khumalo You see what messing in someone’s marriage does; you should be stoned you adulterous witch’. Police have offered no suggestion that his murder was in any way linked to the love triangle. The tragedy occurred last night while Meyiwa was visiting Khumalo’s home. The day before his death Meyiwa captained his side as they advanced to the semi-finals of the South African League Cup, defeating Ajax Cape Town 4-1. 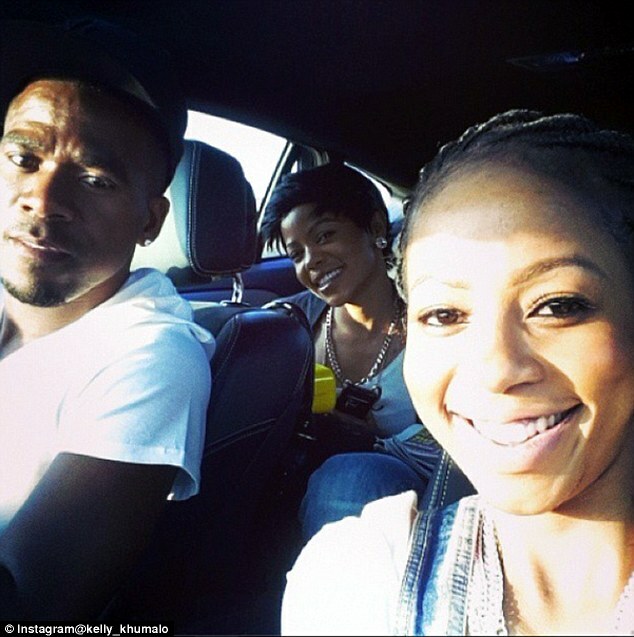 Meyiwa had an on-off relationship with pop star Kelly Khumalo since meeting at the Feather Awards in March last year. They since had a baby together.